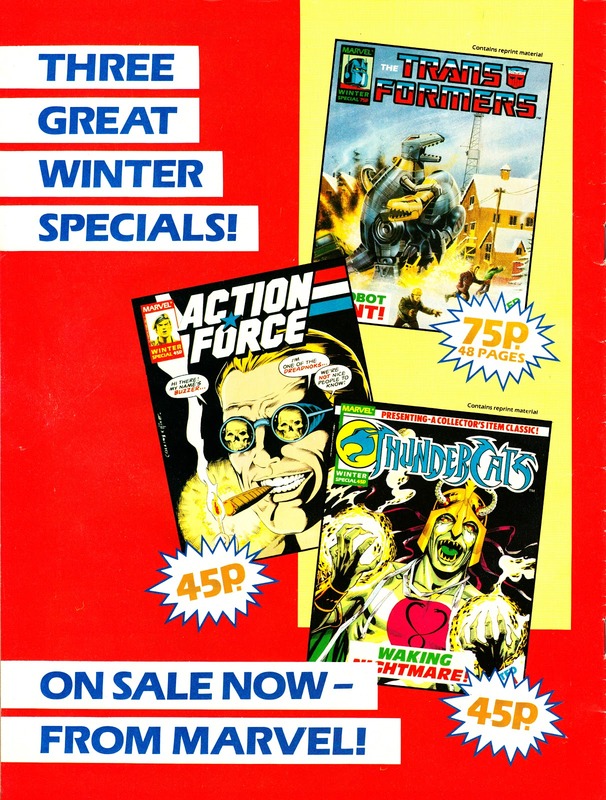 This advert for MARVEL UK's 1987 WINTER SPECIALS highlights how dependent the company had become on toy franchises. THE TRANSFORMERS and THUNDERCATS were Collected Comics compendiums of previously published British strips whilst ACTION FORCE was a hitherto unseen in the UK G.I. JOE reprint.